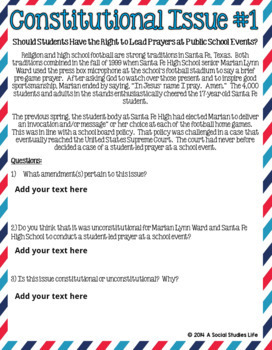 This lesson and activity has students discuss Constitutional issues in small, cooperative groups and in a whole-group setting. 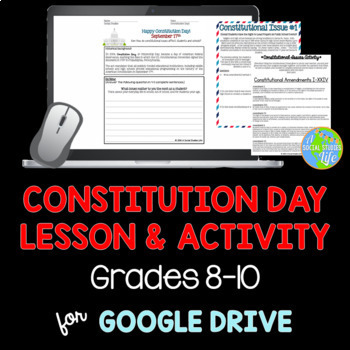 ★★ NOTE --> This lesson is suited for 8th to 10th graders. 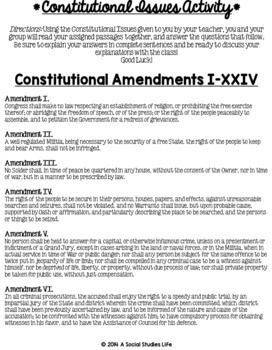 I have not executed this lesson with my students younger than 8th grade because of some sensitive issues. However, that is up to your discretion. If you would like more information on how to execute this lesson/activity in your class, please email me at asocialstudieslife@gmail.com.